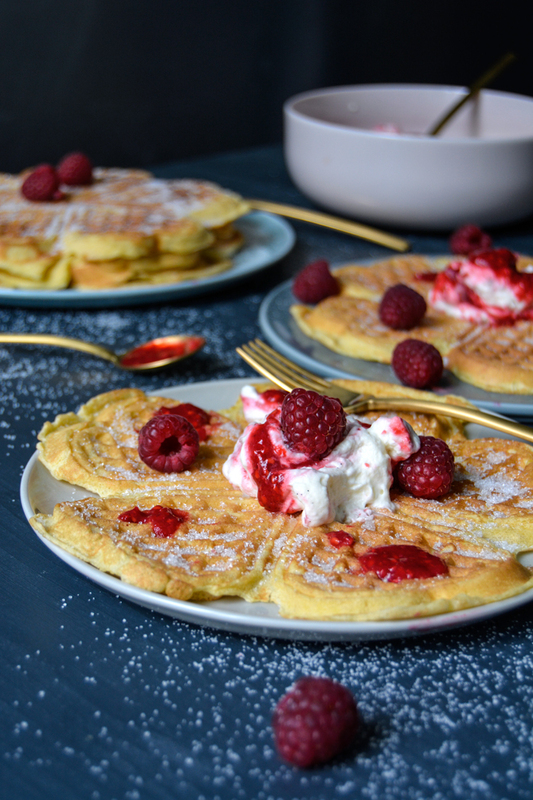 There are countless waffle recipes in the culinary world, with different tastes, textures and ingredients. Many countries and cultures have their traditional formulas, one of the most famous is certainly the thick Belgian waffle baked in squares. The addition of coarse sugar grains creates a caramelized crust which makes it a very sweet and crunchy pleasure to enjoy. Nonetheless, I think I ate the best outside Belgium, in Malta, baked by the private chef of the Belgian ambassador. I nibbled on it on the ancient stairs of a side road in Valletta and it was pure bliss, the waffle and the atmosphere of the warm summer night. We watched a Jazz concert at a tiny bar close to the harbour, George’s wonderful Bridge Bar, and the first bite into this fantastic sweet pulled all my attention off the musicians, I could only see the waffle in my hands and forgot everything around me. However, my absolute favourite must be German waffles. Heart shaped, slightly crisp on the outside but soft inside. And they become even softer when you stack them, and that’s what I do and what I’ve always loved to do. I still use my grandmother’s recipe with a few slight adjustments by my mother and myself. 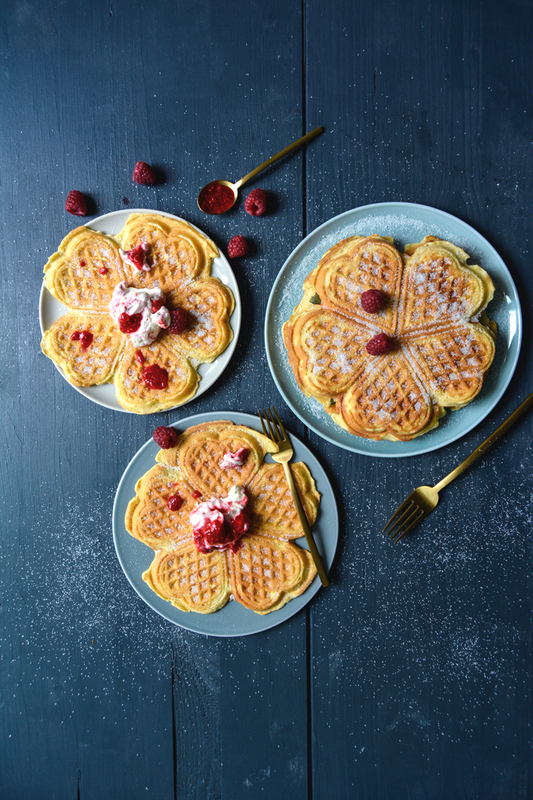 Together with my sister, we’d often take out the waffle maker on Sundays to bake piles of waffles that we’d stack on a large plate. 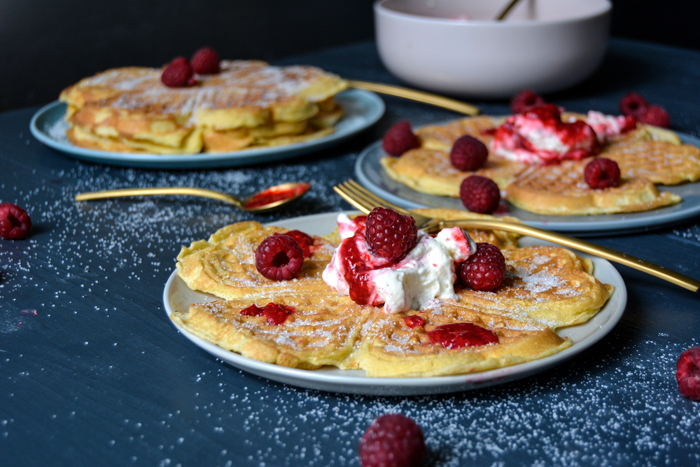 We’d listen to playful classical music (preferably Prokofiev’s Peter and the Wolf or Ravel’s Bolero) and shuffle one sweet heart after the other topped with fluffy whipped cream into our hungry mouths. I notice that I only have great memories with this dish which speaks for itself. 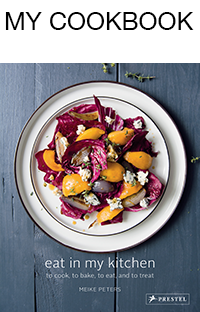 If a recipe is so satisfying in its purest form, it doesn’t really need any alternations. 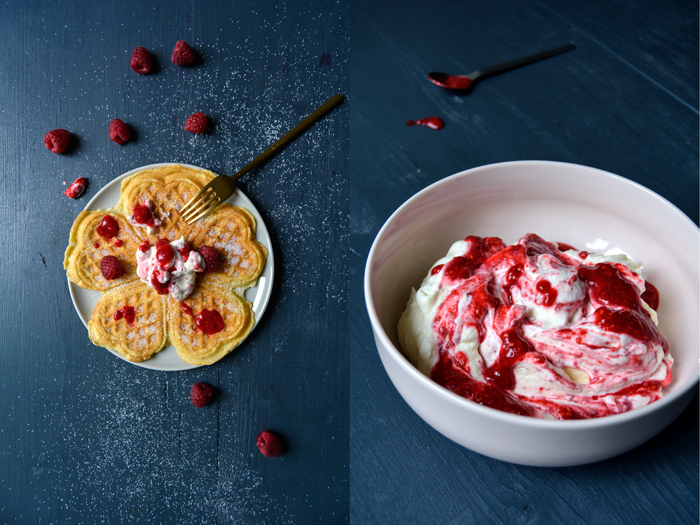 But it’s July, the ripest and brightest red raspberries sparkle in their boxes, so I decided to purée them and mix them with vanilla whipped cream for a fruity and creamy topping – it was a good choice! For the whipped cream, whisk the cream, sugar and vanilla until stiff. Stir in the raspberry purée but don’t over mix. 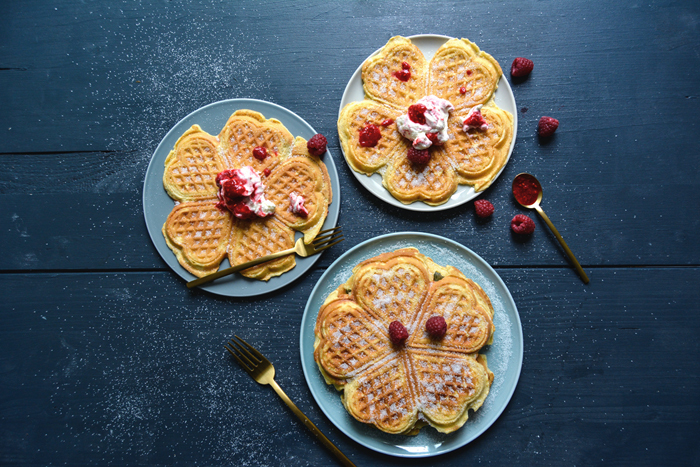 Warm up your waffle maker. Combine the flour and baking powder. In a sauce pan, melt the butter, mix with the milk and set aside. Beat the egg whites with a pinch of salt until stiff and set aside. In a large bowl, mix the egg yolks with the sugar and vanilla with an electric mixer until light and fluffy, add the milk-butter mixture and the flour and mix well. Fold the stiff egg whites gently with a large spoon into the dough. 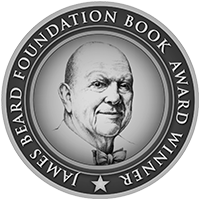 Pour a ladle of the dough onto the warm waffle maker and bake until golden brown. Take out the waffle and sprinkle with sugar while it’s still warm. 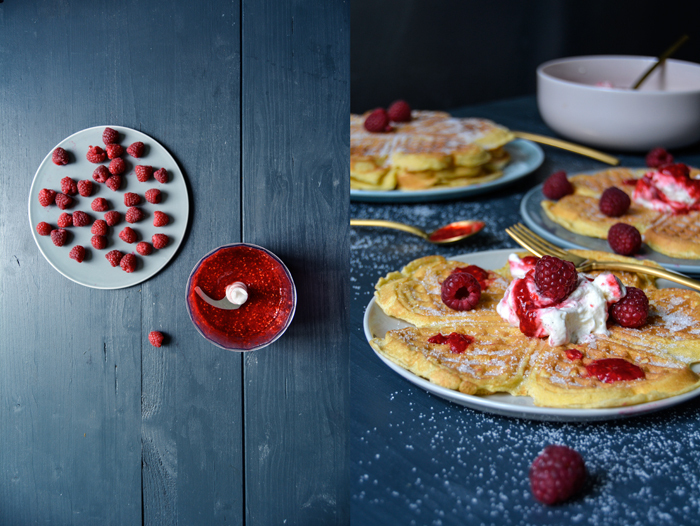 Continue with the remaining dough and serve with the whipped raspberry cream and fresh raspberries. Yummy, yummy! 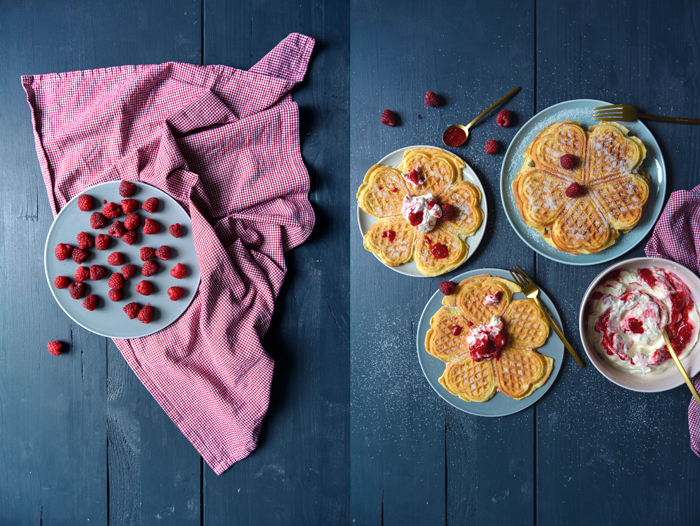 That last photo is amazing…those waffles look so delicious with the cream and raspberries. I wish I hadn’t given my wafflemaker away, now!